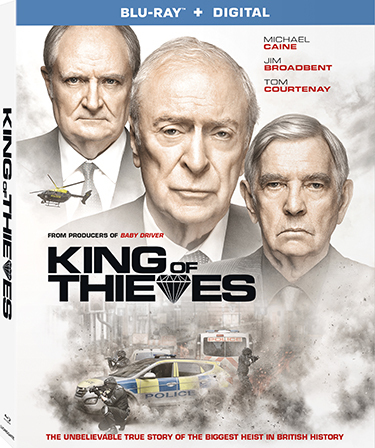 A star-studded cast pulls off one of the biggest bank heists in history when King of Thieves arrives on Blu-ray (plus Digital), DVD, and Digital March 26 from Lionsgate. This film is currently available On Demand. 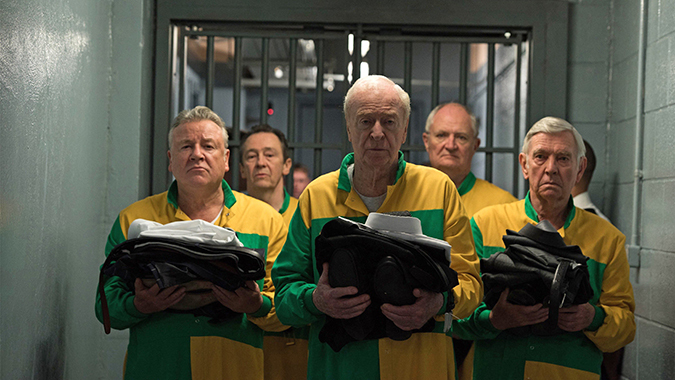 Based on the unbelievable true story of the Hatton Garden Heist, this hilarious and thrilling crime caper stars two-time Oscar winner Michael Caine (1986, Best Supporting Actor, Hannah and Her Sisters; 1999, Best Supporting Actor, The Cider House Rules), Oscar winner Jim Broadbent (2001, Best Supporting Actor, Iris), two-time Oscar nominee Tom Courtenay (1965, Best Supporting Actor, Doctor Zhivago,1965; 1983, Best Actor, The Dresser), Charlie Cox, with Golden Globe nominee Michael Gambon (2003, Best Actor in a Motion Picture Made for Television, Path to War), and Ray Winstone. 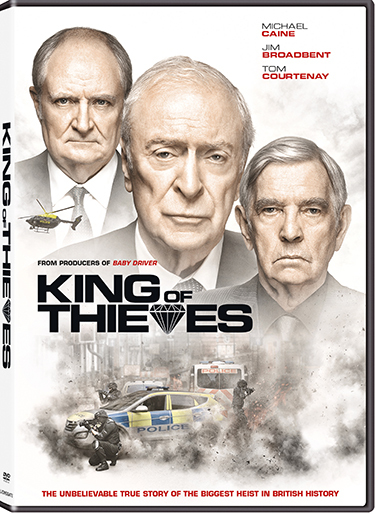 From director James Marsh (The Theory of Everything) and from producer Michelle Wright (Baby Driver), the King of Thieves Blu-ray and DVD will be available for the suggested retail price of $21.99 and $19.98, respectively.